What are software architecture patterns? When writing software, engineers encounter many of the same problems over and over again. Because of this, design patterns have been defined that give engineers a reusable way to solve these commonly occurring problems. At a higher level, software architecture patterns exist that give engineers a way to accomplish the same thing structurally for the entire project. There are many different types of applications and each application might benefit from a different architecture pattern. One of the most common patterns and one we use frequently here at Shockoe is the layered pattern. The idea behind the layered pattern is that the code should be split into layers and each layer should have a distinct responsibility, while also being able to provide some service to a higher layer. So, for example, you might have a presentation layer that responds to user interaction with a screen and then passes data to a higher layer (frequently an application layer) and so on and so on until it reaches the highest level that has been defined in the architecture. One question that could be asked is – Why is it important to choose the correct app architecture? This can be answered from two perspectives; that of the engineer and that of the client. We’ll start by answering it from the perspective of the engineer. Most engineers are familiar with common architecture patterns. This means that when a new engineer joins a project or a team of engineers takes on an existing project, they are better able to navigate the project structure and can begin work much more quickly and with more confidence that new features can be added without any issues. Additionally, as new features are added it is very clear which part of the architecture needs to be modified and teams can work together on different layers of the architecture. All of this leads to more stable applications with fewer bugs and better performance overall. From the perspective of a client, there are many reasons why choosing the right application architecture is important. Clients need to be able to be sure that the engineering team that they choose to build their application has their best interests in mind, both in terms of quality and efficiency. Software architecture patterns allow for higher levels of quality to be achieved while still maintaining efficiency. There is also no one-size-fits-all architecture that can be applied to every project. For example, a highly complex enterprise level application would demand a more sophisticated architecture pattern than a simple proof of concept or minimum viable product application. Also, when a project is released and then additional features are required the client can be sure that this process will be as painless as possible because well-architected software can be modified much easier than software with poor architecture. Building software requires planning. Without a plan, even a trivial project can quickly turn into an unmanageable mess. This introduces what is referred to as technical debt into the project. As technical debt increases, costs to the client increase and overall performance and quality of the application decreases. As I mentioned before there is no one-size-fits-all approach to software architecture and at Shockoe, we pride ourselves on being experts when it comes to choosing the right application architecture for each project and making sure that we deliver the highest quality applications to our clients in the most efficient way possible. 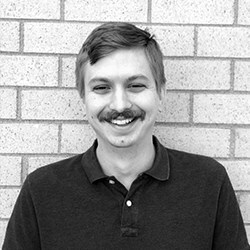 Stephen Shaw is a mobile software engineer, primarily focused on building native iOS applications. Born and raised in Richmond, VA, he enjoys spending time hiking by the river, trying new restaurants, and exploring everything the city has to offer with his fiancé, Rachael. Passionate about learning something new as much as possible, he is always seeking out ways to acquire knowledge.